At church, when someone has a baby, a sign-up list goes out asking for volunteers to bring them meals for dinner. It makes life easier on these couples, and since I LOVE to bake, I had no problem signing up to bring dinner. Even though it was 70 degrees this weekend in Dallas, the temperature dropped and it never made it out of the low 50s the next day. With the cool front that rolled it, I thought it fitting to bring over taco soup and perfect cornbread to my friends (and new parents) at my church. I had debated on what dessert I should make for them all day. I had narrowed it down to coconut chocolate chip bars…until I talked to my sister. For those of you who don’t know, my sister is an extremely talented baker! She bakes sweets for the entire Oklahoma State cross country team before each one of their races. 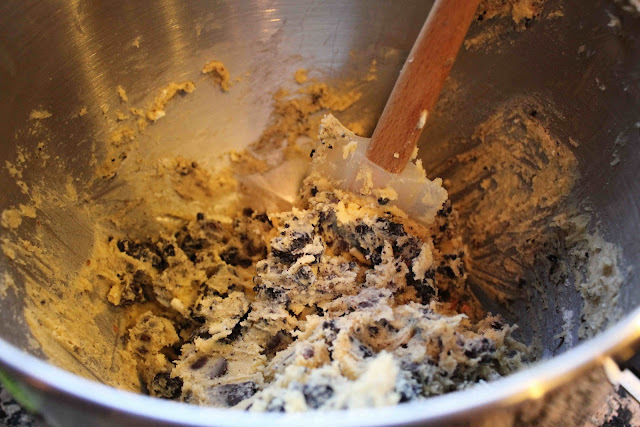 As I was telling her my cooking plans, she mentioned some chocolate chip Oreo cookies (from the Picky Palate blog) that she made for her fiance, Colby. Colby, like me, LOVES Oreo cookies! He likes the double-stuffed kind, the regular, the inside-out version…any kind of Oreo. Despite his love for the black and white cookie (and cotton candy), Colby does not like sweets…weird…but probably a good thing! 🙂 However, this past year, my sister has been working on getting him to eat more desserts, especially cookies. When she told me that he ate SIX of these chocolate chip Oreo cookies, I knew they must be delicious. Colby normally eats one to two cookies at a time, not six! Let me know what you think of these. It is the perfect combination of cookie and Oreo, and satisfies both cravings. 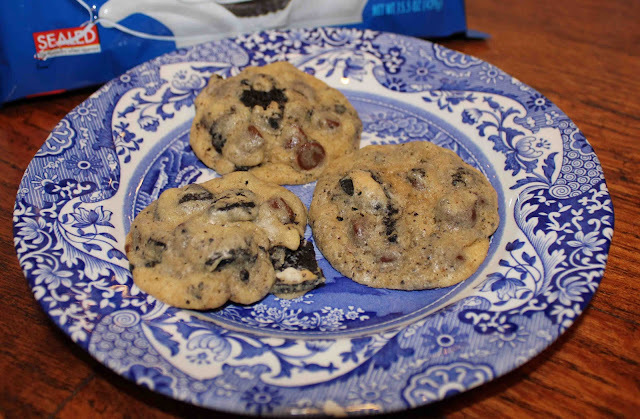 The Oreos add a slight crunch, as well as contributes to a more chocolately, chocolate chip cookie. Enjoy! 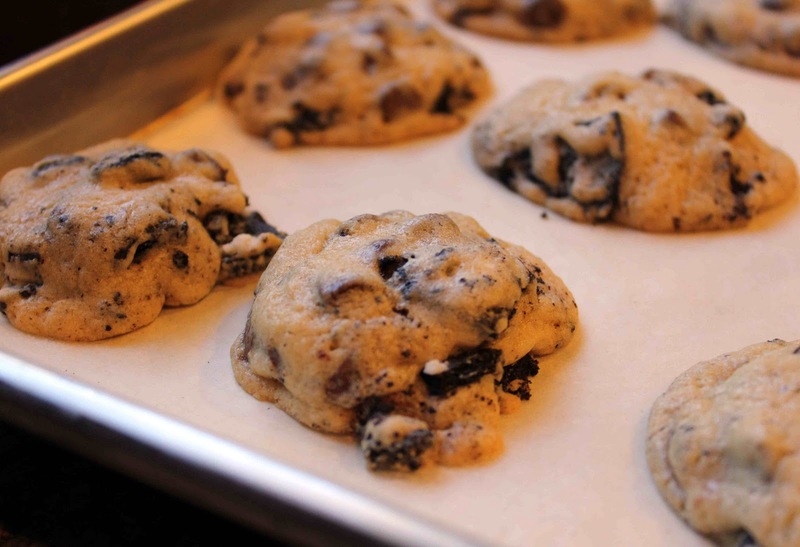 After combine ingredients, gently fold in Oreos and chocolate chips. 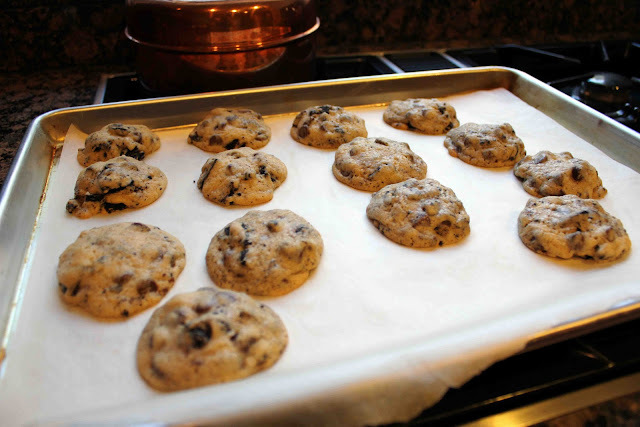 Using a medium-sized cookie scooper, place dough onto prepared cookie sheet. Bake for 8-10 mintues at 350 degrees F.
Let cool on baking sheet for 3 minutes before transferring to a wire rack to cool completely. 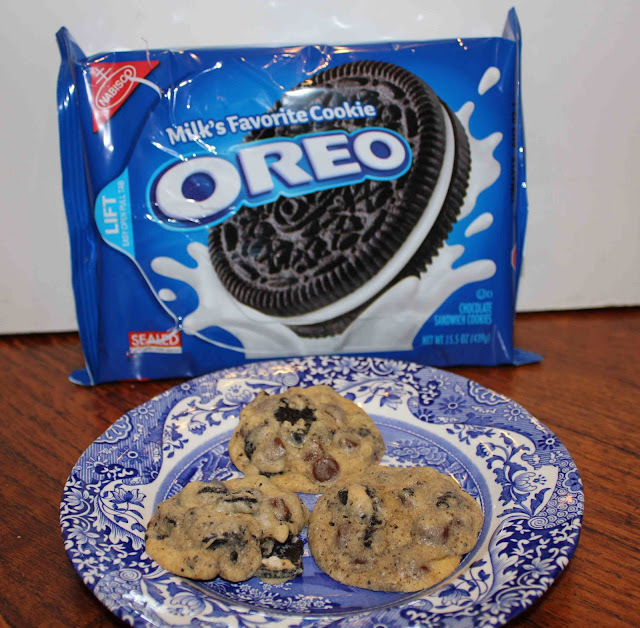 Serve with a tall glass of milk, like you would a plain ‘ole Oreo cookie! 1. Preheat oven to 350 degrees F. Cream butter and sugars until well combined. Add egg and vanilla until mixed well. 2. Place flour, baking soda and salt into a large bowl, stir to combine. 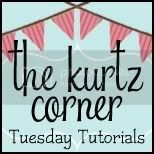 Slowly add dry ingredients into wet ingredients. Stir in Oreos and chocolate chips until just combined. 3. With a medium cookie scoop, scoop onto a parchment or silpat-lined baking sheet. Bake for 8-10 minutes or until cooked, but still soft. 4. Let cook on baking sheet for 3 minutes before transferring to a cooling rack. 5 Responses to "Chocolate Chip Oreo Cookies"
Thanks Debbie! Next time I’ll bring samples up to Marketing before the guys in Ecommerce get them! I like sweets it’s so good.